Those of us who write about advertising throw around the word "iconic" too frequently these days. We call old commercials iconic. We call taglines iconic. Maybe it’s our way of saying they just don’t make them like they used to. With all due respect to Mean Joe Greene, if "iconic" could be used to describe just one ad from the 1970’s, you could make a strong case that Life cereal's "Mikey" commercial deserves the honor. First airing in 1972, the ad starring three real-life brothers ran continuously on TV for over 10 years. After a Mikey remake and a re-airing of the original in 2000, commercials for the Quaker Oats brand have been few and far between. Its new campaign, launched on TV last week with the tagline "Enjoy All of It," brings a fresh, modern feel, and encourages us to find the joy in every moment. Created in partnership with agency Mono, it was a top performing ad in Ace Metrix testing. It received a solid Ace Score of 612, which is 7% above the norm in the cereal category. As a means to connect with modern families, Life’s new ad succeeds by being relatable and engaging. It also has a virtually identical Ad Personality to the Mikey ad, which we tested in 2014. As the graphic below shows, viewers of the vintage ad found Mikey relatable 40 years later. The timelessness of that ad contributes to its legend. Commented one male 36-49-year-old viewer, "I liked this ad when I was a kid. I could relate to ‘Mikey.’ I am a fan of Life cereal." Ad Personality "Enjoy All of It," Ad Personality "Mikey"
In case you were wondering, viewers named the "Characters" the Single Best Thing about the "Mikey" ad. Women connected with "Enjoy All of It" more strongly than men, and it really broke through with women 50+, who found it more likeable than any other demo. Many cited enjoying the family-oriented nature of the ad, as well the happiness of the children enjoying life (and Life). Millennial women also gave the ad high scores, with many mentioning the positive, entertaining feel as a key reason. Said one such viewer, "This was very adorable! It was eye-catching and fun to watch and the music was just right in making it work all around!" Both Life ads drove emotional response from viewers, as seen in the word clouds below derived from clustering the emotive words they used to describe their reactions to the ads. The abundance of "great" words indicates an overall admiration, with heartfelt feelings and humor also playing a role. The words labeled "hook" – exciting, clever, memorable – demonstrate how the ad kept attention. 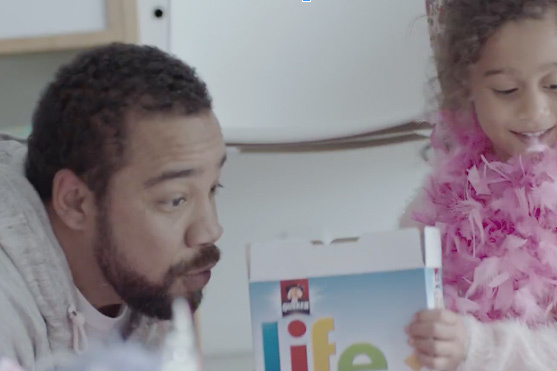 With a simple, upbeat ad, Life cereal reconnected with a generation and rejuvenated its message. A far cry from their 1970’s hit, they haven’t strayed from their brand identity and continue to entertain consumers. The iron nun inspires us all in Nike's "Unlimited Youth"